I recently took a class, with Rosalie Dace, focused on the use of lines in quilts. Coincidentally, I had a guild challenge to “make something” out of some fabric we had “modified” in a class at a previous guild meeting. Those are permanent wrinkles in the fabric, which is the desired modification. I must say that everyone else’s wrinkles were in a more regular pattern–I had trouble with the technique. 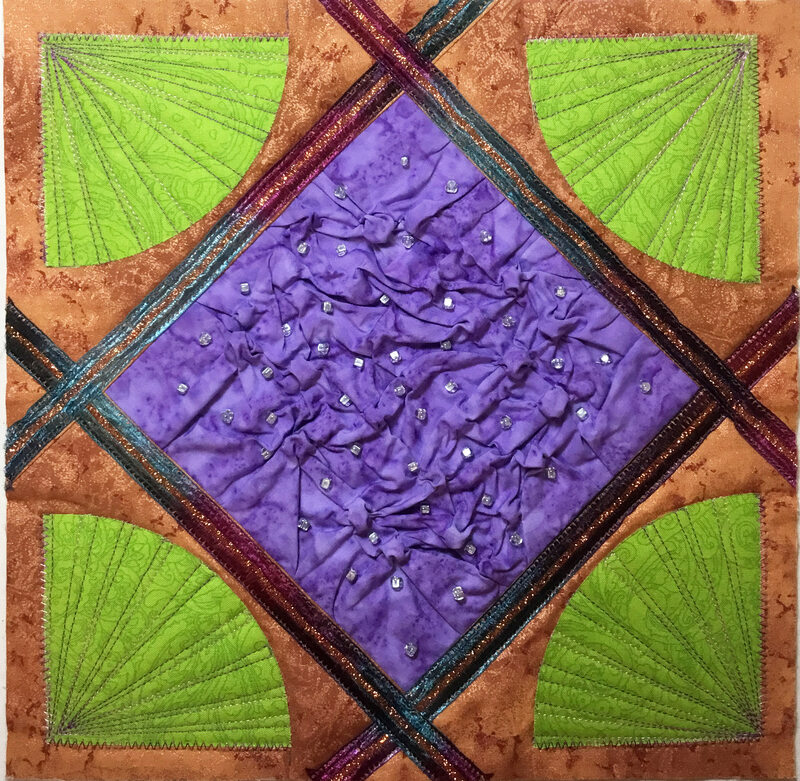 However, the most frequent critique of my art quilts is that they should be “freer” with less predictable regularity, so this certainly is an “improvement” for me! 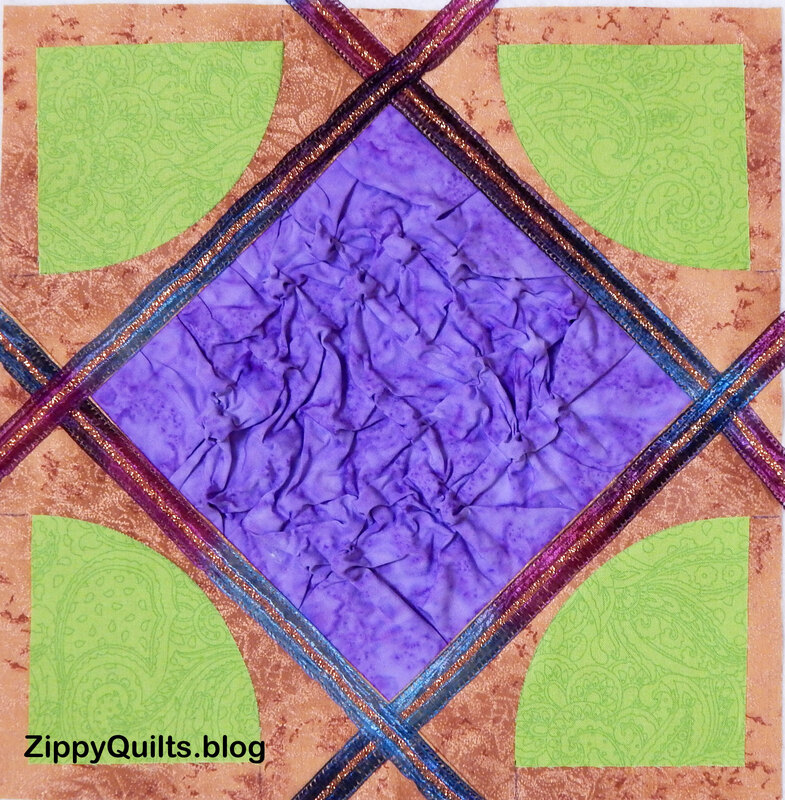 I got the piece built into a larger quilt square, layered with batting and backing, and started embellishing. I decided on more lines! Here is the piece after adding more lines (sewn into the corners at irregular intervals!). And I decided on multiple little beads instead of the big fabric “jewel”. When we shared our creations at guild, I found that other people had also set their squares on point, and one woman had then incorporated hers into a bag! Since the last thing I need is another art quilt, I think I will make this into a bag, too. And I’m thinking of attaching a tassel to that fabric jewel and hanging that on the bag as well. Stay tuned! 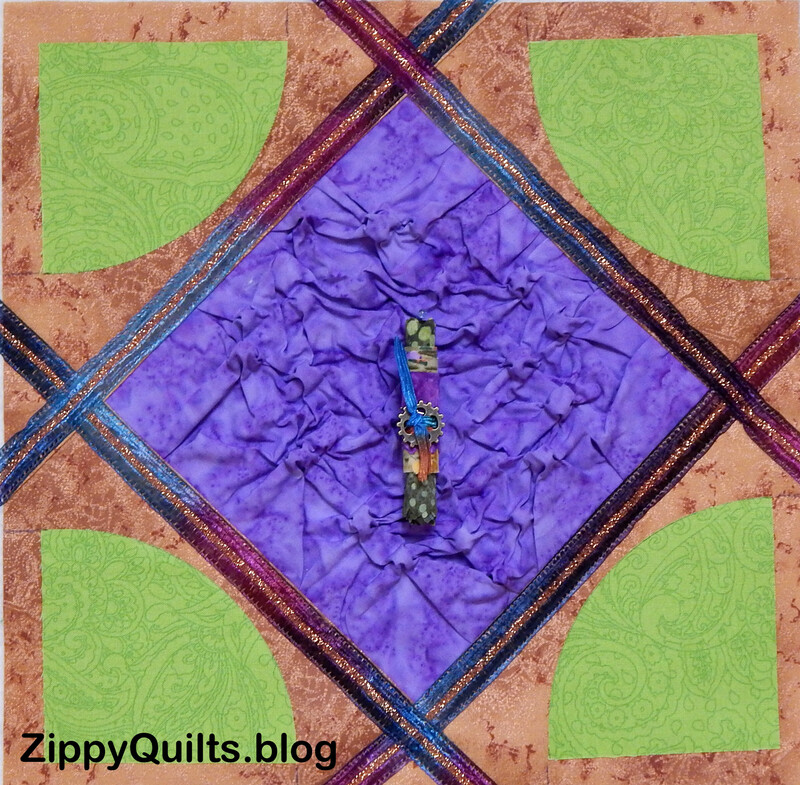 This entry was posted in Art Quilt, Quilting and tagged art quilt, art quilt techniques, beads, beads in quilts, beads on quilts by zippyquilts. Bookmark the permalink. Looks like a bag will be a great use of this square. 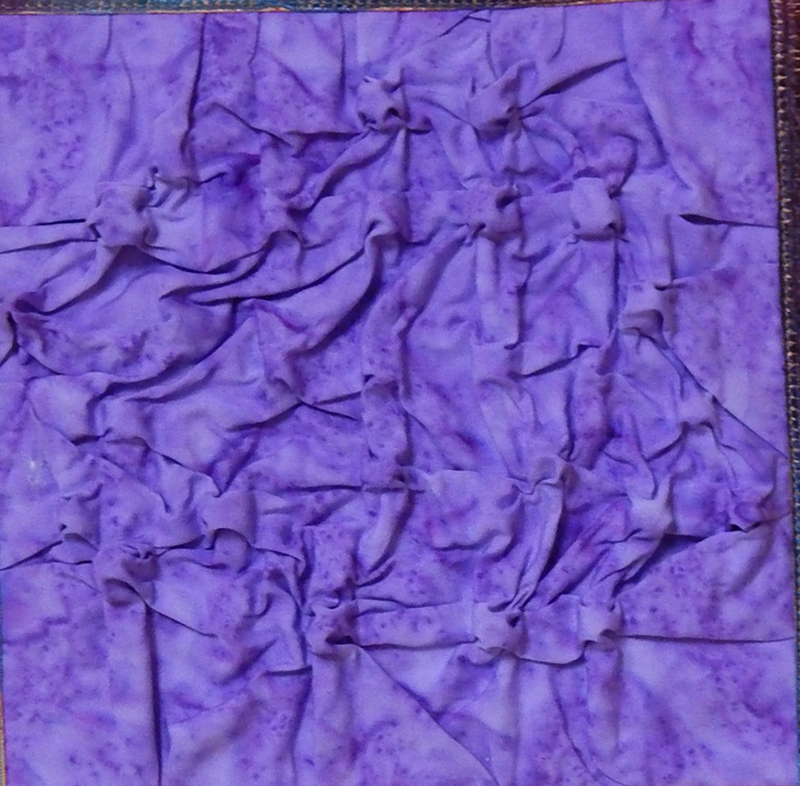 I’m interested in the transformation of the purple fabric into the crumpled version you have. What’s the secret? OH!! That isn’t very hard, is it? Thanks for the info! I’m looking forward to see what you make with this beautiful piece. I like the scattered beads better. And the ‘jewel’ on tassel sounds fun. The lines stitched into the corners really give a finished look. Thanks. There are a FEW projects in front of finishing this, but I will post eventually!